One of the problems with moving abroad and immersing yourself in another language is that you forget how to say foreign words in English. I mean all those borrowed words that are commonly used in English. The English language has adopted loads of French words like “ambience”, “connoisseur”, and “rendezvous” (or even fake French words like “en suite”). I’m sure there are plenty of words from other languages that I’m less attuned to as well. The English have worked out their own pronunciation of these words, a slightly anglicised version which is basically a bit easier to say without twisting your mouth into all sorts of unaccustomed shapes. The thing is, when you go and immerse yourself in all things French/Italian/whatever you somehow lose your grip slightly on your mother tongue. You go to real cafés instead of Starbucks, you learn new recipes in French, you learn to say hello every time you walk into a shop and goodbye (not thank you) when you leave, you listen to French radio until you can finally get the gist of what’s been happening from the dry, high-speed, minimally informative news reports on FranceInfo (it’s hard, believe me). You sit through lectures on Molière, on thème and version, and if you’re crazy like me, you even go to Arabic classes in French. It feels like uphill work, but when you have a chance to relax into English you suddenly find you can’t speak it in the same way any more. 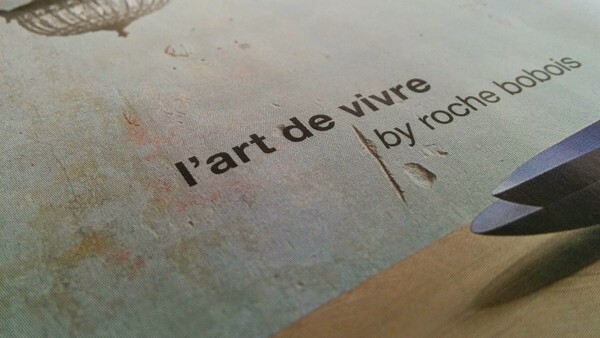 The French words just come faster sometimes, and even the way you make sentences gets gallicised. It’s worse if all your English friends speak French too because you just babble on, mixing languages. Linguists call this code-switching, but it feels like babbling to me. I don’t babble like I used to, because for three years I’ve been aiming for pure English with my kids. But when I go back to England, I have no idea how to pronounce the borrowed words. I have unlearnt those in-between words that can swing from one language to another. The problem is how normal Brits view this. Speaking “foreign” is not well thought of in England. It’s decidedly pretentious to go throwing foreign-sounding words around. I’ve been there, I do get it. To me, too, it sounds ridiculous when people come back from a holiday in Florence saying “Ciao bella!” And it isn’t just me – Kate Fox talks about this reaction in her great book Watching the English. It’s a curious thing really, because many French words adopted by the English language are related to concepts we aspire to or admire. Its a legacy left over from French being the language of the aristocracy; more recent adoptions testify to our continued awe at French style, cooking and general savoir-vivre (oops). Think of words like boutique, cuisine, haute couture, etiquette, première, encore, etc. But a Brit using such fancy words excessively, or saying foreign words in a foreign way (that is, trying to say them accurately – quelle horreur!) means you’re a swaggerer, or trying too hard. Fox puts it down to the importance we English accord to modesty (or at least, an appearance of modesty). The result? When I speak to Brits, I either avoid words that sound French because I can’t remember how to say them in English, or I have a stab and end up mispronouncing them by both English and French standards at the same time. It’s all rather comic, so long as you can leave the country again, I suppose. “So how is Spain?” our friends in Paris asked us all summer. And I didn’t really know what to tell them. To be brutally frank, changing nappies in Spain is quite a lot like changing nappies in Beirut or in Paris. This year will not be the year of discovering Andalucia’s charms. In fact, we did far more of that in just a fortnight, pre-kids, than we have in the ten months we’ve been living here. Hopefully we’ll be freer to do more soon. But apart from this being that awkward stage of family life where naps and bibs and accidents make staying out all day long more trouble than it’s worth, there’s another reason I find that question hard to answer. When we decided to move back to Europe, one of the reasons we chose southern Spain was that it struck a neat compromise between proximity to family in Western Europe on one hand, and on the other the Mediterranean feel we so loved in Beirut. Spain’s easy ways, good weather and outdoors culture (which will always be ‘plastic chair’ culture in my head) have a lot in common with Lebanon. The summer heat, the home cooking, the way the mountains rise up just behind the coastal towns. People take their kids to work when school is closed, stay out late into the night with them in summer, and view customers with kids as normal, not a nuisance. Just like Lebanon. On the other hand, I am surrounded by more English people than I ever have been ever since I left the UK 13 years ago. English is spoken in the street everywhere, especially near the beach. I overhear chatter about ‘council tax’, the NHS, fish and chips, cheap beer. Then there are the expressions that I haven’t heard in years too, that remind me of my Granddad. In places where my poor Spanish won’t suffice, important matters at the bank and at the doctor can be discussed in English. I haven’t spoken my mother tongue to a doctor or banker abroad ever. Except three words during labour and he wasn’t listening anyway. I don’t really aspire to living in “England in the sun”, so I’m very grateful that there are also many people here who don’t speak any English which gives me the chance and the motivation to keep practising my Spanish. But it definitely isn’t the most foreign place to live. Coming from Beirut it feels extremely tame. The consensus among the English here is that the Spanish are terrible on the road. Personally I haven’t noticed a thing so I guess I must be terrible by now too, though I do indicate a lot which is very un-Lebanese. I don’t reverse on the highway either. I don’t run red lights. I’m doing alright, aren’t I? So how is Spain? Well it’s a bit like Beirut and a bit like Britain. And a bit like Morocco and a bit like France. You get the idea. Some parents worry their kids won’t learn the language of their adopted country well enough. I tend to worry about the opposite. Many people ask me now whether my daughter is speaking Spanish yet. For the record, we lived in Spain for two months last year and five months this year so far. I suppose if she had gone straight into kindergarten, then by now she would be speaking Spanish (after a fashion). She spends an hour or two once a week with a Spanish babysitter and she’s already starting to respond in Spanish. Surely I should be in a rush to help her learn Spanish as soon as possible, as young as possible. Otherwise she’ll already be behind the other kids when she starts school. Except that she won’t be starting school very soon anyway. Because it gets worse. Do you really want to shock people? Make them leap to their feet and ask you But why? How could you?! Have them shake their heads disbelievingly as you walk away convinced that you will soon rue the day you made such a terrible decision? 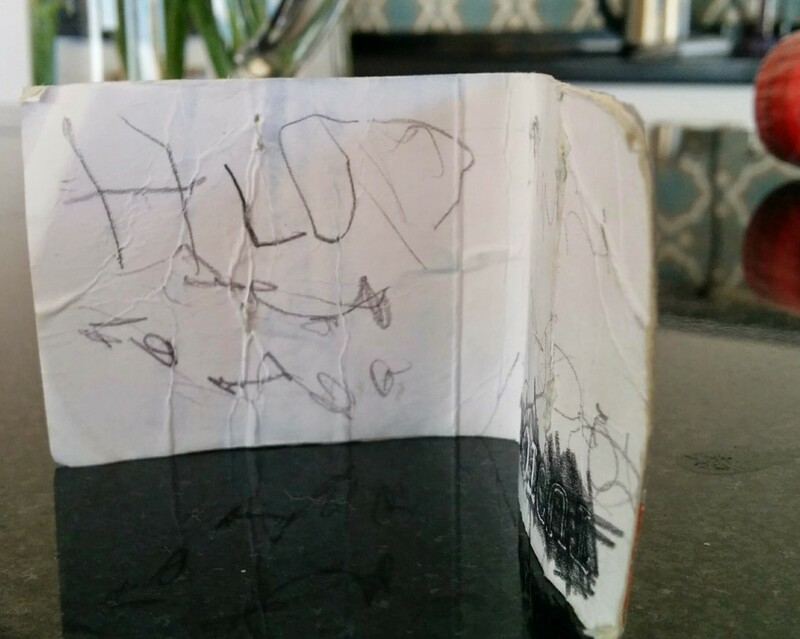 Try not enrolling your 3-year old in school. Judging by the reactions where we live in southern Spain this is tantamount to giving them a bedtime bottle of whiskey. Same in Paris. And a lot more places, I suspect. I would have had to enrol my oldest last March if I wanted her to start this September at the grand old age of 3 years and 1 month. After much consideration, I decided not to. What a can of worms to open. Do I not realise that starting late will put her at a disadvantage? Odd as this may sound, I don’t mind her being at a disadvantage for a while. Let me explain. I don’t really think that getting total immersion in Spanish five days a week would be the best thing just yet. It already takes a conscious effort to keep her French strong; so far her world is dominated by English. Preschool would reduce her exposure to French and English. English would survive, but I’m not sure French would. I’m not the only one in this situation. Peer influence is so much stronger than any parents’, so I am willing to put off – for a little while – the pride I’ll feel when my daughter starts spouting fluent Spanish. If she were at school there’d be no more leisurely breakfasts with dad, and maybe no shared lunchtimes. Interactive French exposure would be limited to little more than busy weekends and short evenings – with only about 1h30 between dad finishing work and bedtime. So how will I feel about her starting school aged four (just) and not understanding what anyone’s going on about? What if she can’t learn at the same speed as the rest? I figure that just living here with a little Spanish babysitting, she’ll pick up enough to get by and not feel entirely lost. She won’t struggle learning to read, write or count. She already knows her numbers and letters, knows her right from her left, and can read a little in English (words like park, window, basket and splash, and in my opinion, enough to work out the rest on her own without any teacher). Converting all this to Spanish is easier than learning it in the first place. What’s more, reading Spanish is a doddle in comparison to English, given the simplified spelling and consistent pronunciation. Spanish is an easy language for a French-speaker – my decision might have been very different if she could go to school in Arabic. This decision will affect her brother too. I’m guessing that within six months of starting school she’ll be starting to use Spanish with her little brother (who’ll then be 2 years old) as the language of play as I’ve seen happen in so many families where the community language was different to that spoken at home. So I’m also glad to stave off the influence of the majority language on him at an age when he’ll only just be starting to string sentences together in his mother and father tongues. Finally, as eager as I am to return to a world of adult conversation, I do consider myself fortunate to be around as she makes those precious early discoveries about letters turning into words, about a banana looking oval if you bite it on a slant, and how sand makes for better cake dough when wet. That’s it: I’ve finally ordered my Colour-Factor Set. I can’t wait to start using it with my oldest. Created by Seaton Pollock in the early sixties, its a way of using 3D objects to represent the relationship between numbers. Pollock found it strange that so many kids hate maths and consider themselves bad at the subject. He wanted to overthrow traditional teaching methods which he blamed for putting pupils off maths. His new way was to teach maths using something other than numbers: a set of coloured blocks for making shapes which “behave” like numbers. You can do this orally, of course. Many schools in Britain had a copy of these blocks in the seventies, but it seems most teachers didn’t know the method. I vaguely remember the remnants of a similar set kicking around at my primary school in the early nineties, but nothing was really done with them except perhaps to compare lengths. Now I didn’t do any maths at all after the age of 16, the British educational system being what it is. But I got so excited about the Colour-Factor Set I’ve even been reading books on mathematics – a first for me. Apart from the major sleep debt that begins when you have a baby and just grows from there, I have grown myself a reading debt which I find equally disturbing, and any precious moments that I get with a book are gold dust to me. So it’s got to be a really good read. Part of the reason I’ve invested my tiny reading allowance in this little-used, largely forgotten method is because it’s another gem from Anything School Can Do You Can Do Better, by Máire Mullarney. I already tried her approach to teaching literacy and in practice, it worked wonderfully: my three-year old now reads. So why not maths too? It looks fun, and the first phase of the method centres on playing with the blocks and doesn’t include any actual number work. I’m not planning on working on sums in the near future; rather, these blocks offer a way to start understanding numbers before even introducing them. I also got really excited about this set because I need to visualise numbers and I tend to associate colours to number values anyway. I know how different it feels to succeed at something because I get it, and to succeed only through perseverance and memorisation. In the latter case you don’t bother taking things any further than you have to. They are short and have me more convinced than ever it is worth a try. 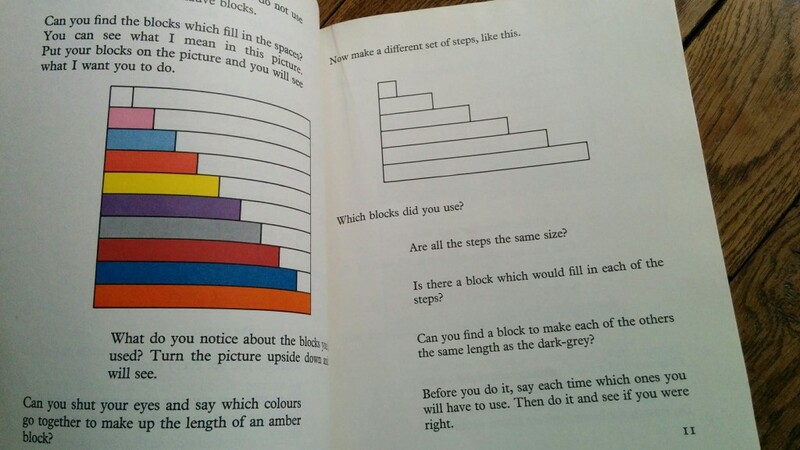 Mullarney dedicated chapter 8 of her book to The Teaching of Number, and Colour Factor is discussed there (pages 36-40 or search for “color” à l’amércaine) if you want to check out her persuasive explanation, though without the blocks in front of you it’s a bit confusing. I’ll do regular updates on how it goes with the Colour-Factor, though to be honest since the first phase seems to be largely playing with blocks, there may not be a great deal to say. If you have any experience of Colour-Factor or similar methods, do share.